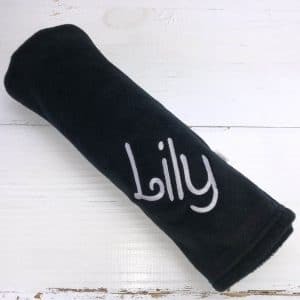 Wrap up your baby girl with this super snuggly Personalised Pink Bobble Blanket that is every newborns must have to keep them warm and snug in their early years Make this gift a perfect keepsake with our complementary personalisation service ! 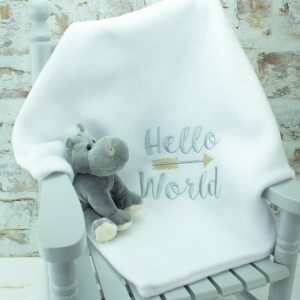 An absolute must have for all newborns, keep them wrapped up in our cosy white blanket complete with our 'Hello World' design, a charming way to announce to the world they have brightened up your life! 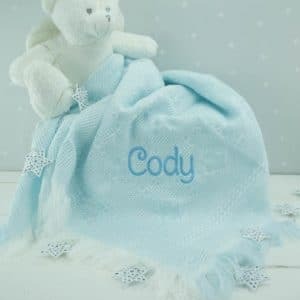 These personalised blankets for babies and kids are so adorable and practical too, perfect for keeping baby's warm and snug whether they are in their crib, pram or car seat! 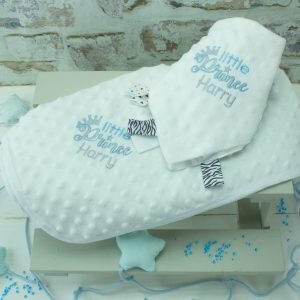 With many designs to choose from which are not available on the high street, and being personalised will mean your baby really stands out! 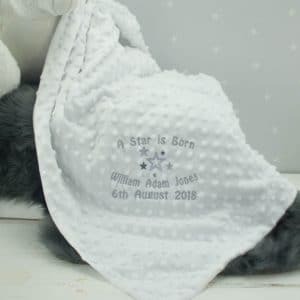 They also make fabulous gifts for any occasion, as they are a real necessity and keepsake rolled into one !! Are you looking for nap time be that little bit extra special? 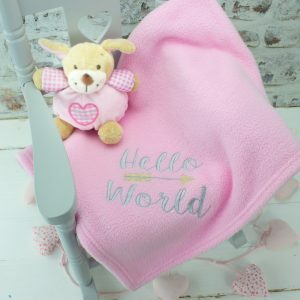 Wrap up your little one in our gorgeous personalised "Hello World" fluffy blanket, a perfect gift for keeping your little Princess snug during her nap time! 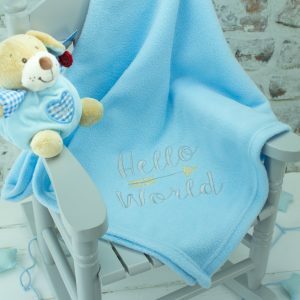 Wrap your little one up in our gorgeous white fleece style blanket, complete with our in-house designed 'Hello World' template - a perfect gift for a newborn to welcome their precious little face into this world! 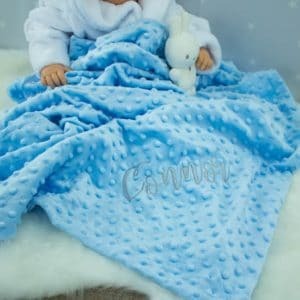 Treat your little one with Heavensent's luxury personalised baby blue shawl that is every newborns must have to keep them warm and snug and a perfect keepsake for their 1st years!